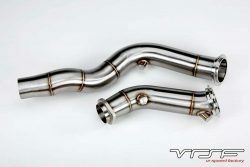 We are proud to introduce our VRSF 2.5″ Stainless Steel Mid pipes for the S55 F80/F82 M3 & M4. 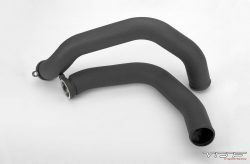 These 2.5″ mid pipes are one of the most cost effective modifications available for your S55, with gains from 18hp & 30tq when tuned. 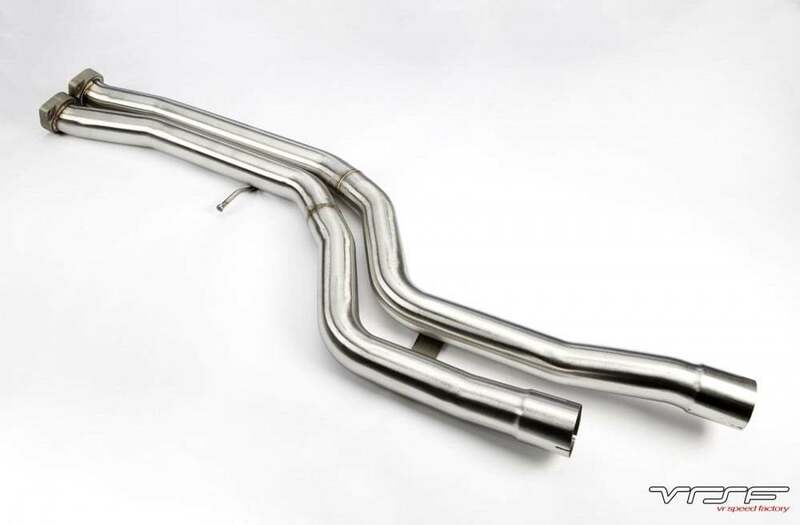 By eliminating the incredibly restrictive OEM F80 M3 and F82 M4 mid pipe, back pressure is reduced significantly which results in faster spool, an increase in power & a more aggressive exhaust note. 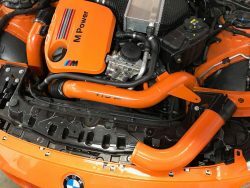 This product was designed and engineered for to fit on both the F80 M3 and F82 M4 and the difference in power will be noticeable the moment it is installed! Please note that this item will fit the MPE/Competition Package with minimal modification. These are constructed from 304 grade stainless steel and we include everything necessary to fit this onto your M3/M4. These mid pipes are compatible with both OEM downpipes as well as all aftermarket downpipes. Adds 18+ HP to the wheels & 30+ TQ to the wheels. CAD/CAM designed flange for seamless flange to pipe transition. Hand made from mandrel bent, tig welded 2.5″ 304 grade stainless steel. 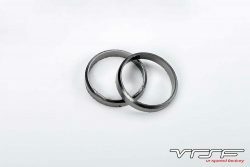 Compatible with both the OEM muffler as well as the MPE included in Competition Pack models. 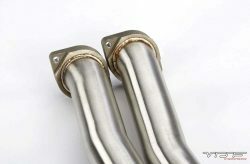 When I installed it I had an issue with the old bolts too (everything was stock and they already had cut my midpipes…). The shop used a torch to take the old bolts off and then put larger bolts in and it aligned perfectly. The sound and quality is top notch (especially for the cost). 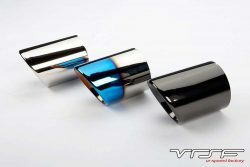 I have this paired with my VRSF downpipes and I’m not disappointed at all. Mid-pipes also add more sound and power, great quality and cost efficient from other brands who in my opinion are over priced. Cant help myself but to do pulls in tunnels sound is amazing. 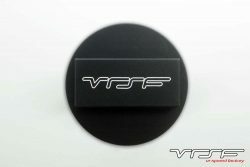 My car is tuned with and only have VRSF parts installed and my car is sitting at about 600whp and I have no doubt that vrsf parts are contributors to getting me to that number so thank you vrsf and grab yourself a mid pipe when you can, you won’t be disappointed !